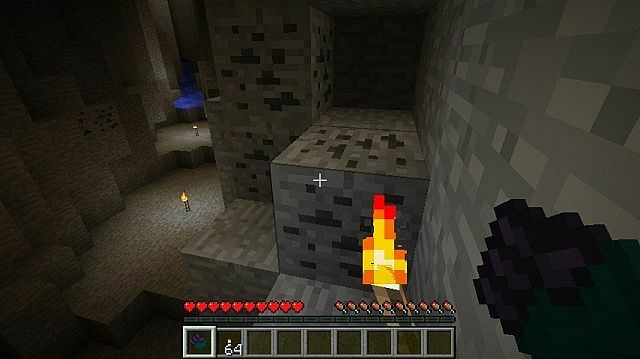 The EnderGlove Mod is a very powerful mod that allows you to equip the power of the ender dimension in your very hands. This mod is unique because it adds gloves to your Minecraft world, something which is rarely touched upon. This mod has proffessional models and texture work and is regularly updated to keep its features feeling fresh and new to the latest patches of Minecraft. There is no real way to use the EnderGlove Mod you first of all need to download it with Minecraft Forge and then you can load up your latest save game. When loading all of the mods features should be automatically enabled. The Enderglove has many features, and is an extremely powerful combat and resource gathering tool. With the glove equipped, you can easily mine materials simply by left clicking. The glove can also be used as a weapon, it will inflict a lot of damage on mobs. 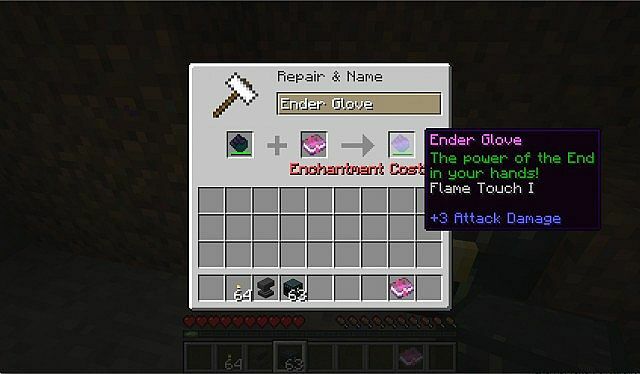 The EnderGlove Mod also adds a new list of unique enchantments specifically tailored to upgrading the glove. This mod is also available for servers and client-side, and is compatible with most external mods. Next, download the EnderGlove Mod and drag and drop it into the .minecraft/mods folder of your Minecraft directory. There are currently no public changelogs for the EnderGlove Mod.